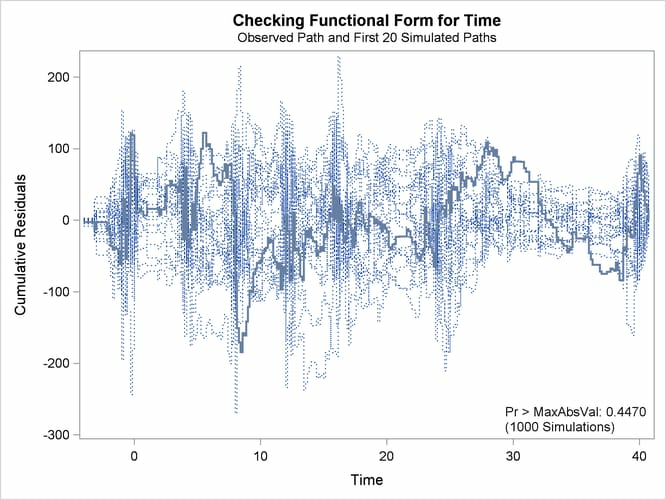 The following SAS statements fit the preceding model, create the cumulative residual plot in Output 43.9.1, and compute a p-value for the model. The cumulative residual plot in Output 43.9.1 displays cumulative residuals versus time for the model and 20 simulated realizations. The associated p-value, also shown in Output 43.9.1, is 0.18. These results indicate that a more satisfactory model might be possible. 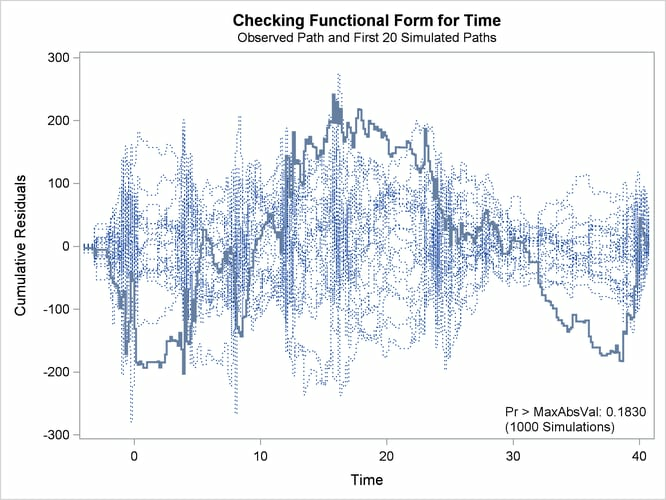 The observed cumulative residual pattern most resembles plot (c) in Output 43.8.6, suggesting cubic time trends.